As though I had any room at all on my TBR list, I went through Amazon’s Summer Books Preview 2010 list this morning (full disclosure: I am not affiliated with Amazon). 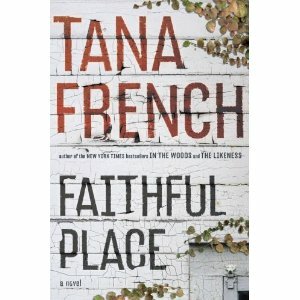 I must confess: I have already pre-ordered Tana French’s Faithful Place, which will not even be released until July 13. I was so impressed with In the Woods and The Likeness, I wanted to be sure I got to the party early this time. Here are a few that look intriguing to me. If I am lucky, I’ll get to one or two of them by 2013! “The year is 1799, the place Dejima in Nagasaki Harbor, the “high-walled, fan-shaped artificial island” that is the Japanese Empire’s single port and sole window onto the world, designed to keep the West at bay; the farthest outpost of the war-ravaged Dutch East Indies Company; and a de facto prison for the dozen foreigners permitted to live and work there. To this place of devious merchants, deceitful interpreters, costly courtesans, earthquakes, and typhoons comes Jacob de Zoet, a devout and resourceful young clerk who has five years in the East to earn a fortune of sufficient size to win the hand of his wealthy fiancée back in Holland. The list has even more, including books from China Mieville, Neil Gaiman, Jennifer Egan, Julie Orringer, Bret Easton Ellis, Jonathan Franzen, Andrea Levy, and Rick Moody. Looks like quite the summer. What new books are you looking forward to? I’m lucky enough to have a proof copy of Thousand Autumns and am loving it! I am sure it will be my favourite read of the year. I have been lucky enough to snag an ARC of the new Tana French… reading it right now and it is goo-oo-ood. Also read a copy of The Particular Sadness of Lemon Cake for the June issue of BookPage and I really enjoyed it too. It’s a quick read that is both quirky and sad – a very nice coming of age story. Jackie, I think I put Cloud Atlas on my TBR because of your review. I’d have to check my notes…I am happy to hear this new one is as good as it looks! Steph, that’s great! I am happy to hear Aimee Bender’s book is good in particular. She’s a special writer. Sometimes authors with quirks annoy me, but I find her work very endearing. Great list! I have never read Tana French, but her covers are lovely! I’m sad this one doesn’t match the ones I’ve seen, but I assume that’s because it’s the UK cover so maybe the US cover will have those pretty branches on it like the first two. I also have heard nothing but good about those books, so I can see why you are looking forward to them! Aarti, oh, you must read Tana French! Either book will do; they are very different, although they have some of the same characters. I love the cover for In the Woods especially–that’s what drew me to the book in the first place. I can’t wait to hear what you have to say about The Lonely Polygamist. Lucky you, picking it up that way! There’s another polygamy novel being released this summer by a Nigerian author that I can’t wait to get my hands on! Eva, maybe that’s a new genre–the polygamy novel!